The average bicycle retail store earns an annual pre-tax profit of 5.5%, but the top 25% bring home nearly three times that. Is this really possible? If so, how do they do it? Aggressive marketing? Super staff training? Facebook? Location? Those are all important, but looking through the cold-hearted lens of a financial statement, the difference is much more fundamental: expense control. The source for this is the NBDA’s biennial Cost of Doing Business study. The study focuses on the financial performance details of two types of stores, average, and high-profit. They are similar in many ways, but when an average store owner locks the doors for the final time to end a given year, he or she will have netted about $46,000 in profit. The owner of a high-profit store nets $123,000. Let’s take a look at how the two compare, starting with the similarities. It’s not about margins on bicycles. The two types of stores are not different on bicycle profit margins. 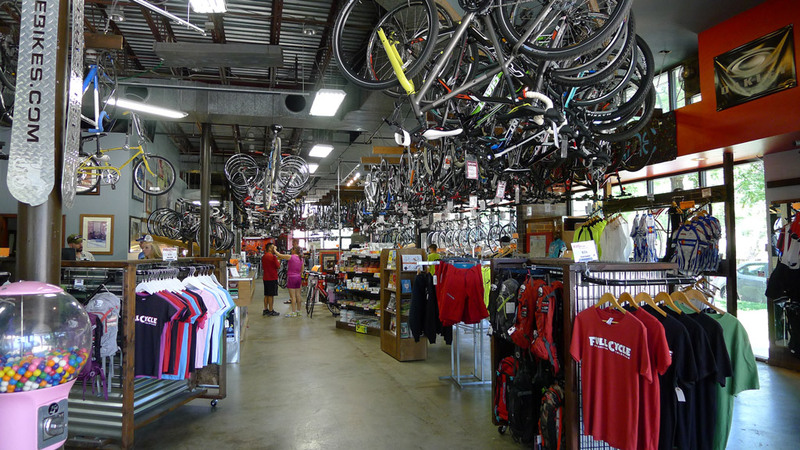 The average store maintains a 36% profit margin on bicycle sales, and so does the average high-profit store. It’s not about inventory turns. The average store turns inventory 2.2 times, while the high-profit store is slightly worse at 2.0 turns. Overall, these numbers are very similar. It’s not about employee productivity: Employee productivity is also similar. The average bike store employee generates $134,854 in sales, compared to $131,024 for high-profit stores. It’s not about prices on parts and accessories: Maintained margins on P&A are 48% for average stores, and 47.2% for high-profit stores, very close to each other. It’s not about average employee wage: Both types of stores report average wage for all employees combined of $14 per hour, so the high-profit stores aren’t short-changing employees compared to the other stores. Now let’s look at the differences. Use of space matters. The average store is 4,600 square feet in total size, with the high-profit store a little smaller at 4,040. However, the selling space within each structure is allocated differently, with high-profit stores having 2,750 in selling space, compared to 2,600 for the average. This better use of productive space is significant because it allows the average store to yield $310 in revenue per square foot, versus $328 for high-profit stores. That’s not a bad combination: lower rent combined with higher sales. Focus on repair parts and labor. High-profit stores report 11.4% of their revenue comes from repair parts and labor, compared to only 6.5% for the average. The emphasis on the service department may be even more significant going forward. As Internet sellers continue to challenge brick-and-mortar for product sales, some of the difference may be made up in areas where Internet sellers find it difficult or impossible to compete. Expenses REALLY matter. Expenses are clearly the biggest difference-maker when it comes to profitability. The average store pays 42.2% of gross sales in overall expenses, compared to 34.9% for high-profit stores. This means that while some fail to cover their costs when they sell a bike for a 36% profit margin, others make some money on a similar transaction. Payroll, is the biggest expense. The average store pays 25.4% of gross for owner and employee salaries, compared to 22.5% for high-profit stores. Actual wages paid per employee, as well as the number of employees, are variables that impact that number. It is possible to manage payroll even more effectively, though it wasn’t reflected in this study. The group of 40 NBDA Profitability Project retailers hold average payroll to just 20.5%. How much rent do you pay? The average store pays 8.3% for rent, maintenance and utilities compared to 7.1% for high-profit stores. This mostly reflects the smaller size of high-profit stores. General and administrative expenses. “The devil’s in the details” in this category, with high-profit stores paying 5.2% for administrative compared to 8.1% for average stores. This is the result of numerous small decisions to restrain expenses in areas such as advertising, auto, insurance, phones, licensing, credit card fees, travel, professional fees and general office expenses. Manage and stay on top of expenses. Set realistic goals and plan the business. Good advice applicable for all retail business.